Posted on June 4, 2011 June 10, 2011 by Emily S.
i know my dad as a continual fix it man. he’s always looking for the next project or way to make something better. when i was younger, the moment i would mention something that wasn’t just quite right, he was on it. whether my bike chain was off the track, i needed a random picture hung, or i was trying to be crafty and construct something, he was always giving ideas and fixing things – before i even got around to thinking about my idea again. i’ve now learned to keep things to myself and only mention it if i really do want him to fix it. for a time i told him he couldn’t fix anything without showing me how. i wanted to learn how to do it all so someday i can be the fix-it woman. unfortunately both our patience were tried in the process so now i let him do his thing. the other day, he and my mom went to the store and got thinking about retiling the bathroom. they came back an hour later with tile samples, paint swatches, and counter samples. that was monday. today is saturday and the carpet is ripped up, trim taken off the walls, and tile nearly ready to go down. mind you, he works a full time job, takes care of the church garden and my grandparent’s house, and our entire household outdoors as well. 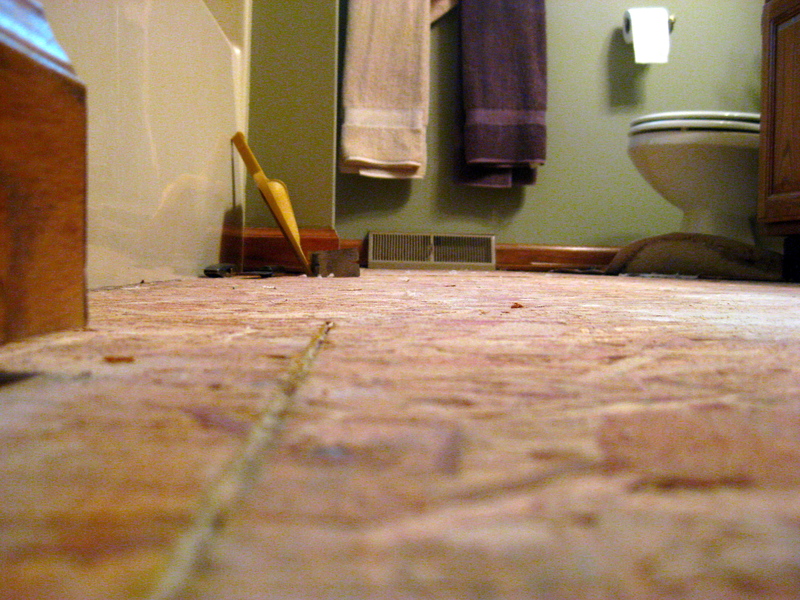 there is no doubt in my mind that this weekend there will be tile down in the bathroom. i’ve been house searching lately – to buy. this is a crazy experience and i don’t know what i’m doing. it has been so helpful to have him there, giving input on this and that, telling me things that will need to be fixed and clipping coupons for window replacements. he is seriously on top of it. i anticipate many a saturday in the future working with him on things and am so grateful for that. so hat’s off to you dad – for continually updating our house. for always being ready to jump into the next project. and for being creative beyond belief in how to fix the house, a bike, or any other random thing well.